As a kid, summertime meant climbing in my grandparents tree and collecting cicada shells with my brothers and cousins. These days, I mostly look forward to hanging out on the back porch eating dinner with my family and maintaining my veggie garden. I wonder if (just for old time’s sake) I could try climbing a tree, but I have no desire to play with bug shells. What do you look forward to this summer? 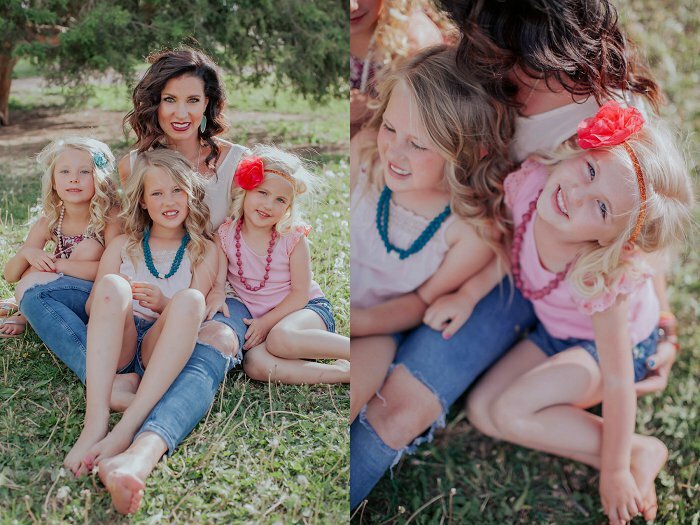 When I photographed this sweet families session, it made me think of my childhood and the carefree summer days. Running, playing, squealing and giggling.